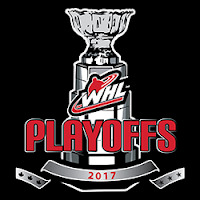 The WHL’s Eastern Conference second round is down to a pair of Game 7s.The first goes tonight (Monday) in Regina between the Pats and Swift Current Broncos. 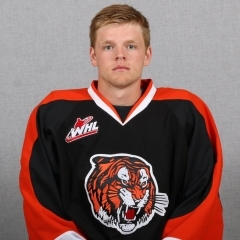 On Tuesday, in Medicine Hat, the Tigers and Lethbridge Hurricanes will settle things. 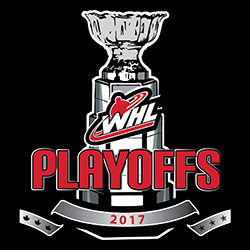 In Regina, fans began lining up at the Brandt Centre box office Sunday at 10 a.m., in order to get tickets to tonight’s Game 7 between the Pats and Swift Current Broncos. The box office opened at noon and the game was SRO in a hurry.There even was a report late Sunday that at least one online scalper was trying to get $100 apiece for four tickets. The Pats went so far as to tweet this warning: “Please be advised do not try and purchase tickets to Game 7 from a secondary ticket website. We only support Ticketmaster.”The Broncos won three of the series’ first four games, each victory coming in OT, to take a 3-1 lead. On Saturday, leading the series 3-2, they held a 3-1 edge early in the second period, only to have the Pats come back for a series-tying 5-3 victory.“It’s going to be a war,” Regina F Austin Wagner told Greg Harder of the Regina Leader-Post. “We're expecting a hard performance out of them (in Game 7). We have to be ready to play because we know they’re going to be.”Wagner, of course, took a kneeing major and game misconduct in Game 5, but the WHL chose not to suspend him for Game 6. He responded with two goals and an assist, and was named the game’s first star.Richard Doerksen, the WHL’s vice-president, hockey, handles discipline and was in Regina for Game 5 so witnessed Wagner’s hit on Broncos F Ryley Lindgren.“I had a pretty good sleep (Friday night) . . . surprisingly,” Wagner told Harder. “Getting a major wasn’t ideal but I got the nod (Saturday) morning when I came to the rink. As far as I knew I was in the lineup until I was told I’m not. 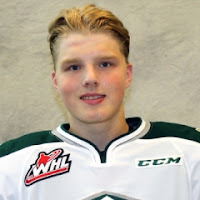 I was ready to go.”A year ago, the Pats had their season come to an end in a second-round Game 7 when they dropped a 2-1 decision to the host Red Deer Rebels.——F Eetu Tuulola of the Everett Silvertips may need surgery to repair an injury suffered during the playoffs.